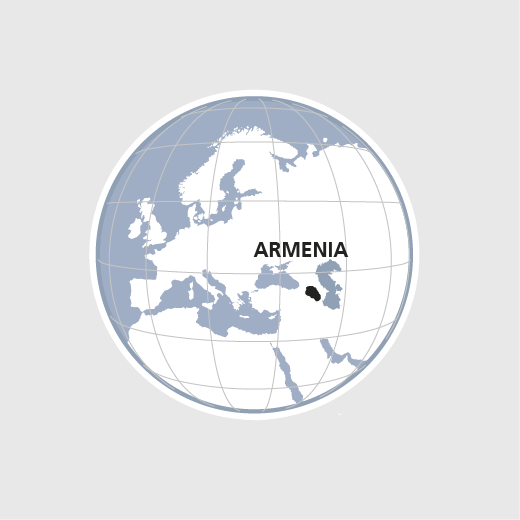 The HEKS/EPER Programme in Armenia is part of the South Caucasus Regional Programme. The idea is to foster peaceful coexistence and improve living conditions in rural areas through income-generating activities and by strengthening civil society. To boost their crop yields and incomes, smallholders broaden their knowledge of organic farming and improve their access to infrastructure, micro-credits and markets. And to strengthen social cohesion, HEKS/EPER supports its partner organizations in building a network which, in collaboration with opinion leaders, media and civil society organizations, provides its members with unbiased information about politics, society and the current conflicts in the South Caucasus.